Shake Shack Comes To Austin!! 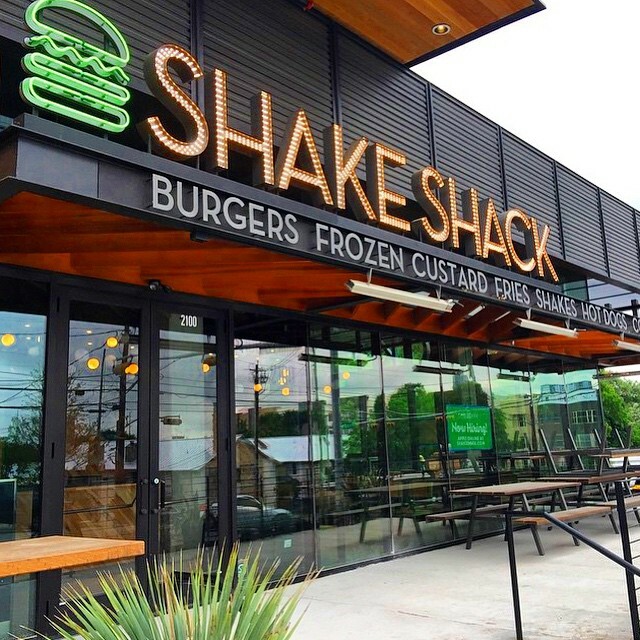 The first ever Austin Shake Shack is located on South Lamar and Treadwell. It’s menu features classic favorites such as burgers, hot dogs, fries, and frozen custard. For all of our adults out there, their menu also includes beer and wine and is even four-legged friendly including some treats for our sweet pups. They didn’t forget about the unique flair of Austin and their menu includes ingredients from some local eateries such as Kreuz Market, Kiskadee, Uchi, and Uchiko. Take that cheat day and go enjoy some food from this new restaurant, it is sure to become a new local favorite!